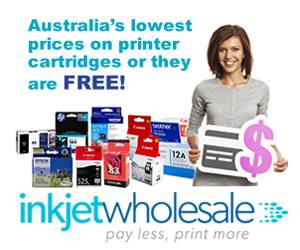 Only last week, your buddies at the Inkjet Wholesale were ruminating over the fate of Lexmark and how rumours about its sale are not going away. The latest news involving Lexmark’s printing arm now makes us think that being cows is not a bad thing at all because our ruminations seemed to have been on the right track. An in principle agreement has been reached for the acquisition of not only the printing division of the Original Equipment Manufacturer (OEM) but the whole company itself. When Lexmark announced that it would be going on strategic introspective journey of sorts, most analysts knew that this was code for “we’re considering what to sell”. The automatic conclusion made by everyone was that the company will turn out to be too expensive for anyone to buy. The logical extension of this was that Lexmark would look to offload its printer manufacturing division. However, all those doubts have been put to rest now since a deal is agreed. Lexmark will not only be acquired but will also become privately owned as investors from China combine for the acquisition. 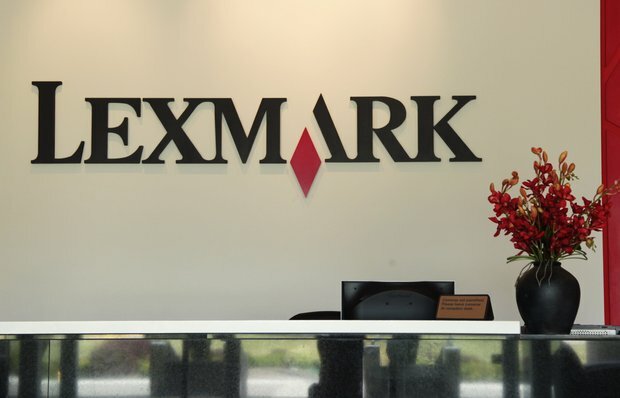 The consortium with which Lexmark has reached the in principle agreement involve Legend Capital, the venture capital arm of Legend Holding, PAG, a venture capitalist firm from China, and Apex Technology, an aftermarket cartridge component manufacturer from China. If you remember our last week’s post, we focused heavily on the possibilities of where Lexmark would go and our prime contenders, just like most other industry watchers, were from China. We actually mentioned Legend Holdings, a company that owns the subsidiary Lenovo. We even mentioned Apex in that same post. The deal agreed between Lexmark and the Chinese consortium means that the printing giant will receive $40.50 for every share. This value is about 17 percent higher than the value at which Lexmark shares were being traded in the share market. The total enterprise value of Lexmark, according to the agreement, thus becomes approximately $3.6 billion including its debt. Needless to say, the announcement of this agreement resulted in Lexmark’s share value rising by 12 percent to $38.97. The acquisition of Lexmark, however, will not be closed till the second half of the current year. As per the announcement from Lexmark and consortium members, the operations of the OEM will not be affected much by the takeover. The corporate headquarters of the printing giant will remain in Lexington. Even the leadership will remain unaffected with Paul Rooke continuing in his role as the Chairman and Chief Executive Officer of Lexmark. In the announcement about the agreement, Lexmark describes it as “an exciting transaction”. Paul Rooke also stated that being a part of the consortium will give Lexmark access to its resources, which will be used towards helping the business gain better penetration in the Asia Pacific markets in sectors such as managed print services, software, and hardware. Lexmark’s financial advisor for the agreement will be Goldman, Sachs & Co. while the consortium’s financial advisors are Moelis & Company. The agreement is in principle which means that it still has to be finalised and approved by the right authorities. It will need approvals of Lexmark shareholders as well as approvals from US regulatory authorities and China’s Committee on Foreign Investment. Lexmark is another major acquisition by Chinese firms outside their borders. As per analysts, this is a result of weakening Chinese economy and Yuan. The objective for most Chinese firms is to tie up their funds abroad before further weakening reduces their buying power altogether. Other notable Chinese acquisitions in other countries include the acquisition of the technology distributor Ingram Micro Inc. by HNA Group, a Chinese conglomerate, for $6 billion and the acquisition of Syngenta AG for $43 billion by the China National Chemical Corp.
Our last week’s post wasn’t only prophetic about Lexmark’s buyers but it also foreshadowed another event: Epson’s launch of a wide format printer targeted at the photography, fine art, and display graphics sector. In that post, we mentioned Canon has released four new printers targeting the same industries. It seems this is a trend of sort amongst the OEMs because Epson newly released printer is also targeting the same industries. This is the Epson SureColor P10000 which will be added to the already impressive SureColor P – series of printers. The Epson SureColor P10000, according to the OEM, typifies high quality output and fast production speeds. The 44 inch Epson SureColor P10000 is specifically targeted at the industries mentioned above by providing features tailor made to make life easier for operators in the relevant sectors. The highlight of the Epson SureColor P10000 is the PrecisionCore MicroTFP print head that boasts of no less than 8000 nozzles. The new printer model also features other key technologies such as a tweaked Epson UltraChrome PRO nine colour pigment ink system and a new media feeding system. These features essentially combine to give Epson’s new printer model great printing speeds while maintaining top level quality. For instance, when this model is compared to other Epson printer models of the same type, this one is found to be 2.8 times faster. Specifically speaking, the PrecisionCore MicroTFP print head is about 2.6 inch tall, boasts of 10 channels, and can generate prints at a maximum resolution of 2400 dpi x 1200 dpi. These qualities make the Epson SureColor P10000 specifically suitable for use in the fine art photography and high end retail display graphics industries. The Epson UltraCheom Pro nine colour pigment ink system brings its own benefits to the printer model which are incomparable black density and colour matching. This pigment ink system is unique in the way that it is the first in the market to have four different levels of grey ink technology, namely black pigments, dark grey pigments, light grey pigments, and standard grey pigments. Along with this, the Epson SureColor P10000 also makes use of Resin Encapsulation Technology which promotes high contrast quality, clarity, gloss uniformity, and even print longevity.